Revenge is What We See! We Will Also See It Worsen! The leaders of America and all other countries cry out for revenge. For the moment, the militant group has focused on expanding its reach in Syria and Iraq. But U.S. attacks could bring its gaze Westward, and with thousands of foreign jihadis among its ranks, it has the ability to exact revenge. As fighters affiliated with the Islamic State of Iraq and Syria (ISIS) militant group seized Iraq’s biggest oil refinery on Wednesday, the government formally asked the White House to respond to the miltants’ threat with airstrikes. …the threat of violent blowback against the U.S. at home. For the moment, ISIS, which has fighters in Syria and Iraq, is focused on expanding its territory on both sides of the border. But an American attack on ISIS could turn the group’s wrath Westward, and it already has the means to retaliate on American shores. Many Palestinians are now eagerly awaiting Hamas’ next step, but the expectations are of violence rather than further attempts at dialogue. For example, there was an enthusiastic reaction among Palestinians when arrested Fatah leader Marwan Barghouti, currently held in an Israeli prison cell, called on his followers to prepare themselves to fight Israel in the West Bank. All eyes are particularly on Abu Obeida, the spokesman of Hamas’ armed wing in Gaza, who is expected to make an announcement that the Palestinian resistance has succeeded in detaining or killing Israeli fighters in retaliation for the assassinations. (CNN) — Mourning three Israeli teenagers at their funeral Tuesday, Israeli Prime Minister Benjamin Netanyahu promised his nation will avenge their deaths at “the hands of evil men” and show its strength in the process. As Commander in Chief, my highest priority is the security of the American people. And I’ve made it clear that those who threaten the United States will find no safe haven. One said that the blood of Michael Brown is crying out for revenge. All over the world people are being crusaded against and murdered. Others are crying out for revenge on those deemed guilty of murdering their family members–children, mothers, fathers, sisters, and brothers. Two weeks after Michael Brown was gunned down by a police officer, the anger continued to smolder Monday as thousands bid the black teenager farewell at a St. Louis church. “Michael Brown’s blood is crying from the ground, crying for vengeance, crying for justice,” he said. Earlier this month, a police officer shot and killed an unarmed black teenager, Michael Brown, in Furguson, Missouri. The shooting and the response have reignited concerns about racial profiling, police brutality and police militarization. The incident has also drawn attention to a remarkable lack of knowledge about a seemingly basic fact: how often people are killed by the police. Some reporting has put forward one of the only figures available: the approximately 400 “justifiable police homicides” each year since 2008, according to the FBI’s annual Supplementary Homicide Report (SHR). Efforts to keep track of “justifiable police homicides” are beset by systemic problems. “Nobody that knows anything about the SHR puts credence in the numbers that they call ‘justifiable homicides,’” when used as a proxy for police killings, said David Klinger, an associate professor of criminology and criminal justice at the University of Missouri who specializes in policing and the use of deadly force. And there’s no governmental effort at all to record the number of unjustifiable homicides by police. If Brown’s homicide is found to be unjustifiable, it won’t show up in these statistics. The FBI’s Uniform Crime Reporting (UCR) program, which compiles the SHR, relies on voluntary involvement of state and local police agencies — a fact that may raise some questions about the integrity of the data. Some of those 3,000 deaths are police homicides, justifiable and unjustifiable — there’s no way of knowing how many. …there’s an unknown number of unjustifiable police homicides that aren’t marked with any evidence of police involvement. Account for all that, and you would have the true number of police homicides each year. Including Tuesday’s incident at a high school in Troutdale, Oregon, 74 school shootings have taken place in the approximately 18 months since the Dec. 14, 2012, Newtown shooting. The data maintained by Everytown for Gun Safety also shows that these shootings have occurred throughout the country. In all, 31 states have had an incident of gun violence at a school. Georgia has witnessed far more incidents than others, with 10 happening at schools there since Sandy Hook. There have been seven school shootings in Florida, five in Tennessee, four in North Carolina and four in California. The majority of the school shootings, 39, have taken place at K-12 schools. The remainder of them have happened at colleges or universities. (CNN) — Hundreds of Kurdish fighters from Turkey have arrived in the Syrian Kurdish town of Ayn al-Arab to join a Kurdish militia group battling to hold off ISIS forces, activists said Saturday. Clashes continue in the area between the militia, called the People’s Protection Unit (YPG,) and the ISIS fighters, according the London-based Syrian Observatory for Human Rights. A Ukrainian security official said Sunday that attacks by Russia-backed rebel fighters are continuing despite a cease-fire called for by both sides more than two weeks ago. Col. Andriy Lysenko, a spokesman for Ukraine’s national security council, said two Ukrainian servicemen and about 40 rebels had died in clashes over the past day. He said the fighters fired on Ukrainian positions at 22 locations and that they fired artillery at the airport in Donetsk, the largest rebel-held city. More than 3,000 people have died in the conflict that has been raging since mid-April. PARIS — Joining U.S. forces acting in Iraqi skies, France conducted its first airstrikes Friday against the militant Islamic State group, destroying a logistics depot, Iraqi and French officials said. Rafale fighter jets accompanied by support planes struck in northern Iraq on Friday morning and the target was “entirely destroyed,” President Francois Hollande said. The four airstrikes on an Iraqi military installation overrun by the militants hit a munitions and fuel depot, a French military official said, speaking on condition of anonymity to discuss operational details. Iraq’s military spokesman said dozens of extremist fighters were killed. Gaza police explosives teams working to detect and destroyed unexploded ordnance are hamstrung by lack of resources and equipment. Unexploded ordnance from the recent Gaza conflict blew up Friday and killed two Palestinians, wounding three others, one of whom died of his wounds the next day. The Gaza Strip is currently littered with a large number of unexploded Israeli ordnance left over from the 51-day conflict that left more than 2,150 Palestinians dead, 11,200 injured, and more than 110,000 homeless. • Half of pregnancies among American women are unintended, and four in 10 of these are terminated by abortion. •Twenty-one percent of all pregnancies (excluding miscarriages) end in abortion. • In 2011, 1.06 million abortions were performed… From 1973 through 2011, nearly 53 million legal abortions occurred. 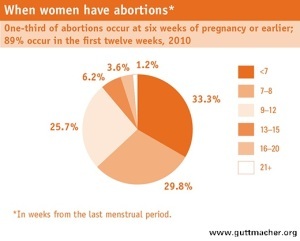 • Each year, 1.7% of women aged 15–44 have an abortion. Half have had at least one previous abortion. • At least half of American women will experience an unintended pregnancy by age 45, and at 2008 abortion rates, one in 10 women will have an abortion by age 20, one in four by age 30 and three in 10 by age 45. The procedure is usually accomplished with similar dilatation procedures, but the uterus is emptied with a sharp metal curette. Dilatation and evacuation is the safest and most common method of second-trimester termination used by experienced health care professionals. Once the cervix is enlarged enough, the procedure is accomplished using a combination of suction curettage and manual evacuation of the fetus and placenta. This procedure is accomplished by cervical preparation similar to cases of dilatation and evacuation, but the fetus is removed in a mostly intact condition. The fetal head is able to be collapsed after the contents are evacuated so that it may pass through the cervix. Whether it be wars with bombs or babies’ lives taken at the hands of an abortion doctor, it is killing. It’s murder. It’s continual war as shown in your bible from Genesis to Revelation. It is a senseless way of trying to solve problems that only gets worse with each and every murder. It has been this way for the 6,000 years of man’s history. Murder begins with anger that turned to hatred. Then come revenge and retaliation from both sides. It becomes a murderous cycle. This is the pattern of activities and the mindset of all nations in this generation. There is nothing being done to change the situations among world leaders or even religions. Revenge and retaliation seem to be their only solution, which they know is worthless. In fact, they have proven this over and over. We have seen nothing in the way of peace, only continual war for the entire history of mankind. It’s been 36 years since John Foreman last saw his 5-year old son Jason. The boy was abducted from in front of their family home in Kingston, R.I. The boy’s disappearance was a mystery for seven years until it was discovered that their teenage neighbor, Michael Woodmansee, had killed him. Foreman has strong, threatening words for his son’s killer. SAN JOSE, Calif. (AP) — A man allegedly molested three decades ago by a priest was arrested Friday on charges that he lured the clergyman to the lobby of a Jesuit retirement home and beat him in front of shocked witnesses, authorities said. The following year, priest John Geoghan was strangled to death in his cell by a fellow inmate who claimed he was chosen by God to kill pedophiles. It’s obvious, mankind cannot come up with a conflict-free plan for Peace. However, there is a way promised. The Savior, Yahshua Messiah, said we are fools for not trying or practicing the way that Yahweh, the Creator, says will stop wars. Read for yourself in your own bible or from The Book of Yahweh used below. The Laws of Yahweh are given in the first five books of The Book of Yahweh. We have compiled all 613 Perfect Laws in a booklet that you could request from The House of Yahweh. These Laws will benefit every person on earth if all nations would agree to practice them. If we present all people of all nations with these Laws, and everyone agrees to abide by them, how could they possibly object to living with each other in peace? Abiding by these Laws actually results in peaceful interactions and relationships. They are equal for all. They are Just and Righteous for all. If taught these Laws, the nations would be able to see the Peace and Justice in them for themselves and others. Notice the benefits received when these Laws are taught and practiced. They will turn the hearts from anger, hatred, warring, and fighting to true Love and concern for others. 1 For the Word of Yahweh was given to me, saying: Behold, the day comes that will burn like an oven; and all the proud, yes, and all who do wickedly, will be stubble—the day that comes will burn them up, and it will leave them neither root nor branch..
Because of the way in which verse 5 was written, many people down through the centuries have erroneously believed that Malakyah was speaking about Yahweh’s Servant and Prophet, whose name was Yliyah (I Kings, Chapters 17-21). The word Yliyah means the Strength of Yahweh. Yahweh’s Laws and the Prophets are the Righteous Strength of Yahweh that turn the hearts and minds of mankind from evil to Righteousness. If you will just study these Laws, you will see they work when taught and practiced. Notice again, Yahweh’s Strength. The word believes in Romans 1:16 in no way means saying “I believe” and then keep going in your rebellious, murderous way. It means believe, repent and convert to Yahweh’s Righteousness. 9 Do you not know that the unrighteous will not inherit the Kingdom of Yahweh? Do not deceive yourselves. Neither fornicators, nor God worshipers (worshipers of elohim), nor adulterers, nor men who commit sexual perversions with boys, nor men who commit sexual perversions with other men. They can be your greatest strength. This could be global if these Laws were practiced by all. Now notice the beneficial promises from Yahweh, the Creator. To understand the last part of verse 14, compare it with Genesis 3:5 and notice the words evil like the Gods. Mankind has painted a bleak picture in this present, prophesied generation. The Savior said the same. He even showed there would be nuclear bombs that will darken the sun, and says that is what the world has chosen for itself due to a life of practicing sin. Practicing Yahweh’s Laws is actually practicing rejoicing to the fullest. Prophecy shows that four-fifths of the earth’s population are practicing hatred, fighting, wars and all kinds of lustful evils like the Gods, shown in Genesis 3:5. They will not repent and will be wiped out. In verse 9 we see seven mountains, meaning seven hills. Compton’s Pictured Encyclopedia, 1948, Volume 12, page 144, tells us about the city of seven hills. Those shown in Revelation Chapter 7 are being called are coming out of this great tribulation that’s already in progress in and around the great River Euphrates. The calling is now going out to all nations. You need to start making plans now to come out of the world. The remnant are being called and they are gathering now. Be among them. There is little time left before the nuclear wars start. It will be very hard to travel at that time. Previous Post Did I Not Tell You Plagues Multiplied In This Generation? Next Post Could Bible Prophecy Foretell Your Sickness Or Your Health?